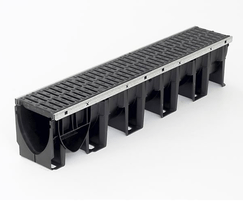 ACO MultiDrain™ PPD channel drainage systems are suitable for areas subject to pedestrian traffic, cars, service vehicles or HGV traffic. 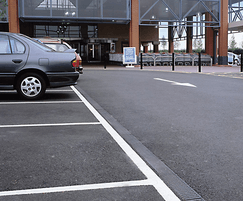 Typical applications include commercial developments, residential developments, private and public parking areas, light industrial units, pedestrian precincts, schools, and sports and leisure facilities. 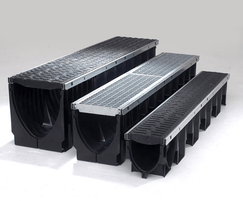 They are fully compliant with, and independently certified to BS EN 1433:2002 for applications ranging from Load Class A 15 to D 400. 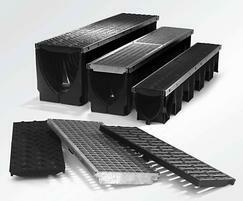 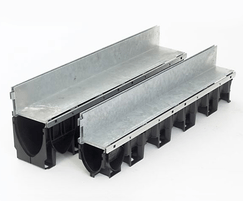 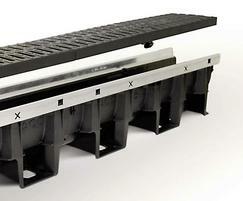 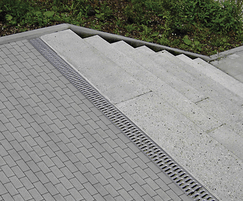 The channels are made from recycled polypropylene with a protective, galvanised steel edge rail. 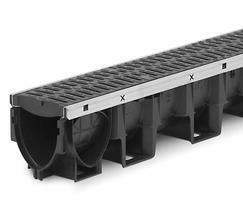 They are supplied in 1m lengths and in three widths: 100, 150 and 200mm. 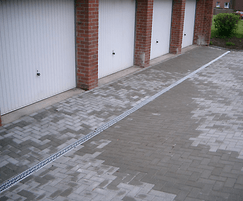 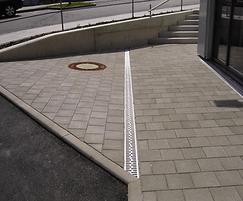 Each channel has a half-metre cutting guide to allow on-site modification if shorter channel lengths are required. 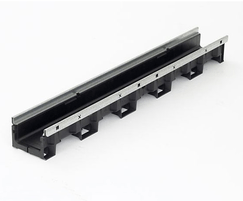 ACO MultiDrain™ PPD channels clip together easily. 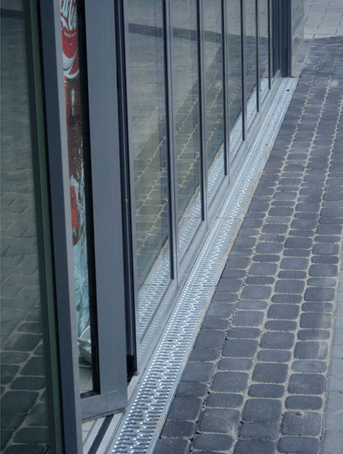 They are fitted with the ACO Drainlock™ fastening system, which enables quick installation and prevents traffic displacing the gratings. 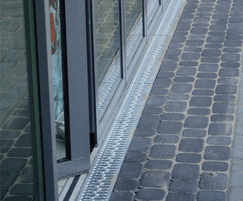 Security locking options are available for areas where there is a risk of grating removal, vandalism or theft.